Author: Maria Fisch. Series edited by: Michael Bollig, Wilhelm J.G. Möhlig. 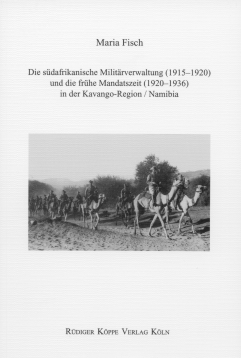 The present study analyses two succeeding phases in Namibia’s history when the clash of interests for the natives was progressively vanishing. On the one hand, the British-Southafrican occupation after the German capitulation is described, on the other hand the first stage of the mandate according the peace treaty of Versailles until 1936 is analysed which was increasingly determined by Southafrican colonial interests. 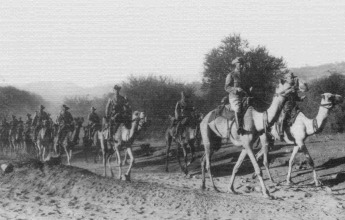 After the capitulation of the German colonial force in July 1915, Southwestafrica was assigned to a Southafrican military government which had a mere transitional function and therefore was mainly concerned with keeping peace and order. Many historians have discussed the reasons and consequences of the only significant military action during this period that was directed against the leader of the Kwanyama and which cost the lives of many of his followers. Almost unnoted remained however what occured in the Northeast of the country. The Kavango region was not bothered with any consequences of the war and therefore was not occupated. Because of its marginal location it became an attractive place of refuge for people who tried to escape from the new ruling power. This provoced several military actions. Besides, this situation caused continuous border disputes between the Portuguese occupying powers in Angola and the native population which preferred to live on the southern shore of the river since they had to suffer hard life conditions under the Portuguese colonial power. These border disputes reached their climax between 1916 and 1920 when the financially weak Portuguese government tried to stop emigration with dubious means. Worth mentioning is also the remarkable behaviour of the Kwangali chief Kandjimi who did not resist with violent means but profited from the colonial structure of power with political farsightedness and subtle tactics. (1995–2007), University of Cologne / Germany.